Following the launch of its flagship Xperia Z smartphone in February, Sony announced two middle-range models to go on sale during the next three months. Sony said its Xperia SP handset (shown above) will feature a 4.6-inch screen with a resolution of 1280 by 720 pixels, as well as a 1.7 GHz dual-core processor and an 8-megapixel camera. The phone has an aluminum frame and a new version of Sony's Bravia graphics software that adjusts images automatically, and can run on high-speed LTE networks. 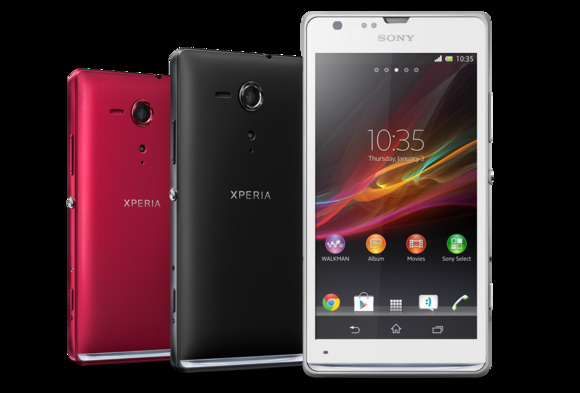 The company's lower-end Xperia L will have a 4.3-inch screen with resolution of 854 by 480 pixels, with a similar dual-core processor and an 8-megapixel camera. The phone will also have a quick-launch feature for its digital camera, allowing it to wake up from sleep mode to take pictures in about a second. Sony is building out its Xperia mobile phone line as it pursues a stated goal of becoming the world's third-largest smartphone maker behind Samsung and Apple. The company's high-end Xperia Z has a 5-inch screen and is meant to compete with the likes of Apple's iPhone and the Samsung Galaxy series. The electronics giant is trying to leverage its music and video holdings. Sony's "Walkman" and "Movies" apps allow users to store and play their own content, but also access Sony's large online services. Sony said both phones will support NFC (near field communication) technology. Like its rivals, the company is also building NFC into its TVs and peripherals like speakers, so users can tap their phones to such devices to establish links for sharing content. Both phones will run the Android 4.1 operating system, or Jelly Bean, and come in white, red, or black. The phones have 8GB of memory and support microSD cards up to 32GB. The Xperia SP will have a 2,300 mAh battery and promises nearly 18 hours of talk time on a modern network, while the Xperia L has a 1,750 mAh battery and offers about 9 hours of talk time.